If you want something to warm your patio, deck or backyard, a patio heater might be just what you need. Check out these top options below. Not only are their heaters made in the USA, but they have a remote control and high and low settings. With the TEGH48 patio heater, you need to make sure it is protected from ocean spray, moisture, strong winds and rain or you will void the warranty. Mounting it underneath of an overhang will often work. This unit has a decorative safety grill capable of withstanding winds of 15 MPH. It has a 24-inch side, 12-inch back, 18-inch above and 48-inch flammable clearance. It’s recommended that you have a clearance of at least 24-inches above the unit to avoid potential damage to plastic, vinyl and other materials. The radiator should be a minimum of 7.5-feet above ground. It comes with 18-inch standard mounting brackets. 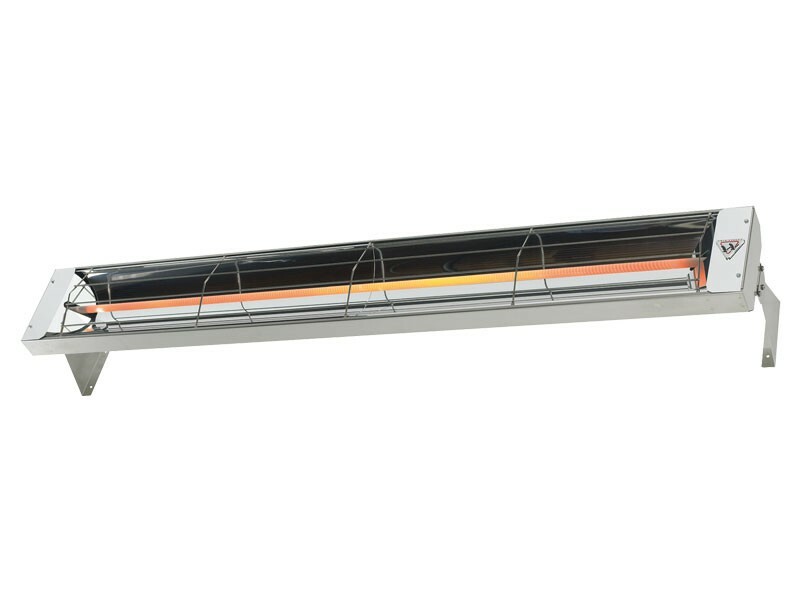 Patio heaters are designed to deliver maximum heating capabilities in one convenient unit. This model distributes heat to your deck, backyard and patio. Not only does it provide you with a comfortable atmosphere, but your guests will remain nice and toasty at all times. The corrosive-resistant material enables you to use it in a high-risk location or coastal area. It promotes direct heat by transforming the energy into radiant heat quickly to reduce your power bill. The parabolic reflector lets you use this heater in more humid climates or windier areas, while still enjoying ample heating power. 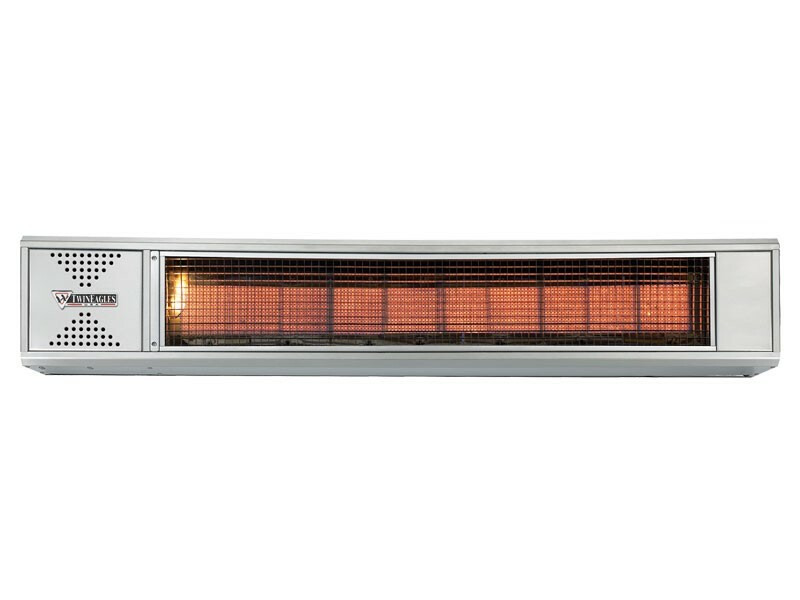 This heater has a UL design that allows you to install it inside or outside of your home. The swivel mounting bracket promotes a clearance of six-inches behind the heater diminishing the chances of your wall catching on fire. It distributes ample amounts of heat and is designed to work for quite some time. Stay tuned to discover more patio heater brands. If you need a patio heater or any other outdoor kitchen appliance in Colorado, contact Hi-Tech Appliances today!